Dr. McChesney has more than 55 years of research and development experience in natural products. He is Founder and Principal and serves as Chairman of Cloaked Therapeutics, LLC which was founded to clinically develop the TumorSelect technology discovered and patented by Arbor Therapeutics, LLC, a research and discovery company established by him to research and discover a means to significantly improve clinical therapy of cancer. His research interests include the chemistry, metabolism, function and production of biologically active organic natural products, bioanalytical chemistry of natural products and drugs, chemotherapy of tropical diseases, and the control of plant growth and development. Most recently he has focused on development of biologically active natural products as pharmaceuticals, especially as anti-infectives and cancer chemotherapeutics. After a Doctorate in Pharmacy at the University of Lille, Marie-Lise Bourguet-Kondracki has completed her PhD degree in chemistry of marine natural products from the University of Paris XI-Orsay. She is currently Director of Research CNRS at the Muséum National d’Histoire Naturelle in Paris, where she spent most of her career, focusing her research activity on the isolation, structure elucidation and structure-activity relationships of bioactive natural products from marine sponges. She now leads a research team « Molecules of defense and communication within the microbial ecosystems » involved in multidisciplinary studies combining microscopic, cultural, molecular biology and chemical approaches in order to understand the role of the associated bacteria within these complex marine holobionts. Loai Aljerf is a Prof in the Department of Basic Sciences, Faculty of Dental Medicine/Damascus University. He is a specialist in analytical and industrial chemistry. He obtained many awards and published more than 50 peer-reviewed papers (two of them in French) in Environmental Sciences, Green Chemistry, Analytical Chemistry, Synthesis Chemistry, Concrete, Ceramics, Paper Industry, Petrochemical, Extraction, Separation, Lithium-Ion-Batteries, and Oral Chemistry. He is a partner in Advances in Cleaner Production Network, and a member of the German Chemical Society e.V. (GDCh), Asian Chemical Society, and the American University of Beirut. He is a member of the higher committee of the 6th International Workshop-Advance in Cleaner Production (São Paulo, Brazil (May 24th to 26th - 2017)) and in more than 20 conference organizing committees. Loai Aljerf is in the Cambridge Scholars Publishing-Life Science Advisory Board and an editor of more than 50 journals and a reviewer for Top journals in Industry, Chemical Engineering, and Environmental Chemistry. Industrial Chemistry, Analytical Chemistry, Environmental Chemical Engineering, Environmental Science, Environmental Chemistry, Green Chemistry, Cement Industry, Ceramics, Paper Industry, Advances in Cleaner Production, Climate Change, Pollution, Wastewater Treatment, Air Pollution, Eco-friendly Biopolymers, Persistent Organic Pollutants, Polychlorinated biphenyls, Polycyclic Aromatic Hydrocarbons, Nanotechnology, Adsorption, Ecology and Natural Resources, Biodiversity, Sustainable Development, Waste Management, Environmental Management, Life Cycle Assessment, Ecodesign, Design for the Environment, Energy Labeling, Eco-efficiency, Chromatography, HPLC, GC, MS, AAS, Spectroscopy, and Lithium-Ion-Batteries. Prof.Dr. Esra KÜPELİ AKKOL was born in Turkey. She got her Bachelor of Science degree in Faculty of Pharmacy, Gazi University, Turkey and got her Ph.D. degree in Pharmacognosy Department from the University of Gazi. She is currently Professor in the Gazi University, Faculty of Pharmacy, Department of Pharmacognosy. She served in many capacities in her field including service on several editorial boards and numerous review committees for journals such as Journal of Ethnopharmacology, Journal of Pharmacy Sciences, The Internet Journal of Herbal and Plant Medicine, International Journal of Genuine Traditional Medicine, Advances in Pharmacological Sciences, Evidence Based Complementary Alternative Medicine and The Open Pain Journal. She has conducted 45 projects and 13 thesis in Gazi University. She has 160 published articles in SCI International Journals, 13 articles in National Journals and 10 chapters in International books. Her research combines pharmacognosy and pharmacological approaches to focus on •	Bioassay guided isolation of active constituents - Phytochemistry and Analytical Pharmacognosy •	Anti-inflammatory, antinociceptive, antirheumatic and antidepressant activities of folk remedies and synthesized compounds •	Wound healing assessment of medicinal plants and their secondary metabolites •	Isolation of the natural compounds from the medicinal plants used against gynecological disorders •	Anti-carcinogenic assessment of medicinal plants and their secondary metabolites. Prior to the present assignment Prof. Pushpangadan served as Director, National Botanical Research Institute (CSIR-NBRI), Lucknow from Feb. 1999 to Feb. 2006; Director, Jawaharlal Nehru Tropical Botanic Garden and Research Institute (KSCSTE-JNTBGRI), Thiruvananthapuram from Nov. 1990 to Feb. 1999 and held additional charges of Director of Rajiv Gandhi Centre for Biotechnology (DBT-RGCB), Thiruvananthapuram and Central Institute for Medicinal & Aromatic Plants (CSIR-CIMAP), Lucknow. Prof. Pushpangadan is a multidisciplinary scientist having over 48 years experience. Cytogenetics & Plant Breeding, Biotechnology, Molecular Taxonomy, Biosynthesis of Secondary Metabolites, Ethnobiology, Ethnopharmacology, Bioprospecting and Natural Product Development etc. Dr. Yongbo Xue has completed his PhD from the Kunming Institute of Botany of Chinese Academy of Sciences with Academician Prof. Han-Dong Sun as supervisor. He worked as a visiting scholar and collaborated with Prof. Craig M Williams in the University of Queensland, Australia. Since May 2019, he has been awarded by Top Talents Recruitment of School of Pharmaceutical Sciences (Shenzhen), Sun Yat-sen University. He has authorized more than 120 academic publications in journals like Angew Chem, Chem Sci, Org Lett, J Org Chem, Org Chem Front, and J Nat Prod. He is frequently invited to serve as an ad hoc peer reviewer for many scientific journals and the National Natural Science Foundation of China (NSFC). Ines Mancini has completed his MD in Chemistry at the university of Bologna ( Italy) in 1983 and she is currently Associate Professor of Organic Chemistry at the university of Trento (Italy). Her research activity is on Natural Products Chemistry involving isolation, structural elucidation, total synthesis also by unconventional eco-friendly methods and studies of target interactions by docking calculation. He has published 120 papers in peer-review journals. Our laboratory major research interest concerns larval biology of marine invertebrates, with emphasis on interaction between settling larvae and chemical cues released from marine surfaces. Since all the marine surfaces are covered by biofilms made of macromolcules and microbes, we have been analyzing microbial community dynamics (using the most advanced molecular tools) and chemical profiles of biofilms in order to characterize the effective chemical cues for larval settlement induction/inhibition. After obtaining effective compounds, we have been examining the effects of the compounds on changes in gene expression, protein expression (proteomics and phosphoproteomics) and transcriptomics during the larva-juvenile transition process. Another aspect of our research has been focusing on microbial metagenomics of unique marine habitats, such as deep sea brine pools as well as symbionts in marine corals and sponges. Prof. Shailendra Saraf is a leading scientist and well-known academician in the field of pharmaceutical sciences. He holds the position of Director, University Institute of Pharmacy and Dean, Faculty of Technology, Pt. Ravishankar Shukla University, Raipur. He is also the Chairman, Board of Studies of the University. Izabela is a Senior Research Scientist at the Common wealth Scientific and Industrial Research Organization (CSIRO), Food and Nutritional Sciences Division, located in North Ryde (a suburb of Sydney), Australia. Expertise in research on bioactive phytochemicals for use in pharmaceutical and food industries with a particular research expertise in: extraction, purification and identification of bioactive phytochemicals, development of in vitro assays for evaluation of potential physiological activities as well as development of in vitro technologies for accumulation of bioactives in plant cell cultures. Dr.Santosh Bhujbal has completed his Ph.D degree from University of Pune in India. He is the Professor and Head Department of Pharmacognosy at Dr.D.Y.Patil Institute of Pharmaceutical Sciences and Research, Pimpri, Pune (India). 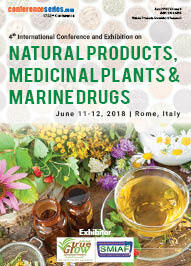 His extensive research experience is in the field of pharmacognosy including development, standardization & evaluation of novel herbal formulations. He has more than 16 publications in national and international journals and filed one Indian Patent and authored two books. He has been Elected Member, Board of Studies – Pharmacognosy, Faculty of Pharmaceutical Sciences, University of Pune. As a Recognized subject matter expert, he has been invited as Resource Person/ Speaker at national & state level conferences/seminars. CEO of Nanorx Inc has a Ph.D. in Organic Chemistry from Oregon State University (1979) and an M.S in Chemistry (1972) from I.I.T Mumbai, India. He has worked on drug discovery for over 25 years at Columbia University, Max-Planck Institute, Germany, Ciba-Geigy (now Novartis) and Boehringer Ingelheim. He has over 15 US and International patents and another 15 pending patent applications. Vanita Sharma was born in India. After attending Punjab University, Shri Dhanwantary Ayurvedic College and Hospital, Chandigarh, India and gaining her post-graduate in Naturopathy and Yoga, she began her career as an Ayurvedic Physician, carrying on this wisdom passed down five generations. In 1999, she founded Vibe Ayurveda, the first Ayurvedic Health & Wellness Centre in Melbourne Victoria. Currently, Vanita is a nominated member Complementary Health IRC, AISC and serving as a Vice-President of the Australasian Association of Ayurveda and has appeared on local Australian TV-shows and live on various community radios. Her clinic is her source of inspiration and her gift to the world. An expert in the field of Ayurvedic medicine for mind-body healing, Vanita Sharma is an Entrepreneur and sought after public speaker. She has more than 20 years’ experience working in the field of Ayurveda. As the Chair of BAAAP, Indira has been organising Ayurveda workshops and conferences in London for the past 10 years. She took up Ayurveda after early retirement from her main profession as an Investment Banker. She was a Director of Merrill Lynch for over 10 years and finished her Investment Banking career in 1998. She holds a Masters and a Ph.D. in Economics and has published several professional papers and 6 books. Indira trained as a teacher of Yoga from Bihar School of Yoga, Munger, and has been teaching Yoga and conducting Yoga retreats for the past 20 years. Azadirachta indica, commonly known as ‘Neem’, associated since ancient times with healing in the sub-continent of India has, owing to its wide range of medicinal properties, attracted worldwide prominence in recent years. Neem has been extensively used in Ayurveda, Unani and Homoeopathic medicinal systems and has become a cynosure of modern medicine. Even in Africa and Tropical America, where Neem has been introduced in recent times, it is regarded as a valuable herbal treatment for various ailments. A large number of medicines, cosmetics, toiletries and pharmaceuticals are now based on Neem products. Anas Subarnas is working as a Professor in the Department of Pharmacology and Clinical Pharmacy, Padjadjaran University. He was Graduated as a Pharmacist from Pharmacy Department, Faculty of Mathematics and Natural Sciences, Padjadjaran University, September 1982. Graduated Master of Science in Chemistry Natural Material Chemistry from Pharmaceutical Institute, Tohoku University, Sendai, Japan, March 1990. He was awarded Doctorate in Pharmacology from Pharmaceutical Institute, Tohoku University, Sendai, Japan, March 1993. He actively participates in various activities and he is active member in various organizations. He published his research papers in various National and International Journals. Muchtaridi is the Head of Post Graduate in the Faculty of Pharmacy, Padjadjaran University, Bandung. He is from the Department of Pharmaceutical analysis and Medicinal Chemistry. Previously he was Head of Master Program of Pharmaceutical Sciences, Head of Information System of Faculty of Pharmacy. He has various publications in National and International Journals. He also attended various Seminar, National and International Conferences. He is also author of various books. Mario Ciampolini has completed his MD degree from Firenze University. He has been the Director of the unit of gastroeneterology in the pediatric Clinic of Firenze from the year 1966 till 2000. He has published more than 50 papers in reputed journals and has been serving as an Editorial Board Member of repute. William G Whitford is Strategic Solutions Leader, GE Healthcare in Logan, UT with over 20 years of experience in biotechnology product and process development. He joined the company as an R&D Leader developing products supporting protein biological and vaccine production in mammalian and invertebrate cell lines. Products he has commercialized include defined hybridoma and perfusion cell culture media, fed-batch supplements and aqueous lipid dispersions. He has published over 250 articles, book chapters and patents in the bioproduction arena. Zhongli Gao is currently a Senior Principal Scientist at Sanofi. He received his PhD in Organic Chemistry from the City University of New York in 1993. Upon graduation, he carried out his Post-doctoral Research on the total synthesis of spinosyn-A supervised by Professor Paquette at Ohio State University. He joined Hoechst Pharmaceuticals, one of the predecessor companies of Sanofi in 1995. He has worked on a broad range of disease areas in CNS, respiratory, inflammation, oncology, and rare disease involving GPCRs, proteases, enzymes, kinases, ion channels and transporters. He has led many projects in advancing compounds into clinical and preclinical decisions. Nana Gorgaslidze has completed her PhD from Saint-Petersburg State Chemical-Pharmaceutical Academy. She is the Director of TSMU I Kutateladze Institute of Pharmacochemistry and Professor at the Department of Social and Clinical Pharmacy at Tbilisi State Medical University. She has published more than 80 papers in reputed journals. Ahmed Radwan has received his MSc and Doctoral degrees from Middlesex Business School in London. He also holds a first degree in Pharmacy and Pharmaceutical Sciences from Cairo University. He is an Adjunct Professor of Management at Edinburgh Business School, Herriot Watt University in the UK. He is also the Chairman and CEO of Pioneera HealthCare Group. He has over 25 years of experience within the pharmaceutical sector, including ethical pharmaceuticals, OTC, generics and strategic management consultation in the pharmaceutical field. He was the Marketing Director of Novartis, Regional Marketing Director of Otsuka and Regional Marketing Director of GSK. Dr. Alexander Heifetz is Principal Scientist at Evotec (UK) Ltd, a drug discovery services company and visiting scientist at University College London at the group of Prof Andrea Townsend-Nicholson. Alex has more than 15 years of experience in drug discovery industry and was involved in discovery of 4 clinical drug candidates for treatment of anxiety, major depressive disorder, pulmonary hypertension, and Alzheimer’s disease. He has more than 35 patents and 40 publications in the area of medicinal chemistry. In 2011 he received the Royal Society Industry Award for development of methods for GPCR modeling. In 2001 he obtained his PhD from the Weizmann Institute of Science. Olga I Lavrik has completed her graduation from Novosibirsk State University and post-doctoral studies and PhD from Institute of Bioorganic Chemistry in Moscow. She is the director of Laboratory of Bioorganic Chemistry of enzymes in the Institute of Chemical Biology and Fundamental Medicine of Russian Academy of Sciences. She is the professor of Novosibirsk State University. She has worked as a Visiting Professor at NIEHS (NC), Institute Jacques Monod, France and University of Évry Val d'Essonne, France. She has published more than 300 papers in reputed journals and has been serving as an Editorial Board of Journal of Molecular Biology and Biochemistry, Journal of Molecular Biology and as a Reviewer of Nucleic Acids Research, Journal of Medicinal Chemistry, Journal of Biological Chemistry, Oncology Letters and other journals. She is a Member of Study Section of Russian Fund for Basic Research and Member of Federation of Biochemical Society. She is a Chancellor of European Environmental Mutagenesis and genomics Society. She is a State prize winner and correspondent member of Russian Academy of Sciences. Monika I Konaklieva has completed her PhD in Chemistry from SUNY Buffalo in 1997, and became a visiting professor in Medicinal Chemistry at Midwestern University, Chicago, Illinois (1997-1999). She is currently an associate professor at the American University. She has published more than 40 papers in reputed journals and has been serving as an Editorial Board Member of several chemistry journals publishing in the areas of organic and medicinal chemistry. Concepción González-Bello has obtained her PhD from the University of Santiago de Compostela (USC, Spain) in 1994. She did two Pre-doctoral stays at the University of Gent (Belgium) with professor vandewalle and at the Scripps Research Institute (USA) with professor Nicolaou. After a Post-doctoral stay at the University of Cambridge (UK) with professor Abell, she joined USC as an assistant professor, was promoted to associate professor in 2003 and obtained the Spanish habilitation to Full professor in 2011. She joined the Center for Research in Biological Chemistry and Molecular Materials (CIQUS) as a group leader in 2011. She is the author of about 80 papers and several book chapters and an Academic Editor of Plos One. Her main research interest is to develop updated therapies targeting infectious diseases, in particular, drugs with new mechanisms of action to combat the growth of antibiotic-resistant bacteria. DR. dr. Arend L. Mapanawang, Sp.PD, Finasim is the director of Health Medical College in Halmahera, North of Maluku, Indonesia as well as the Editor-in-Chief of International Journal of Health Medicine and Current Research (www.ijhmcr.com), Chairman International Arend Index (IAI), and International Conference on Health Medicine (ICCHM) dr. Arend (usual nick name) is an expert in herbal medicine including for the curing of malaria, HIV virus, and hepatitis, as well as a practical doctor for healing many other internal body parts of human being deceases with more than 20 years experiences. He had written various books including history and the cause of world wars books. His publications in various international journals have made him as a prominent invited speaker in the world such as in South Korea, United Kingdom, and USA. Curently, Dr. Arend is the best scientist in the whole North Maluku province of Eastern Indonesia. On 27th February 2018, Dr. Elim and Dr Arend gave a quest lecture in the best and oldest university of Indonesia in Jakarta: a new history in Indonesia that scientists from a small university provided their best knowledge to a huge prominent university scientists and students. Uswatun Hasanah Zaidan has completed her PhD from Universiti Putra Malaysia (UPM) at Department of Chemistry, Faculty of Science in 2011. She was appointed as a Senior Lecturer in 2012 at the Department of Biochemistry, Faculty of Biotechnology and Biomolecular Sciences, Universiti Putra Malaysia. She has pursued for Postdoctoral studies at School of Biosciences, University of Nottingham, United Kingdom (2013-2015). Her research field of interest in food and nutritional biochemistry and bioactive compounds. She is a member of Malaysian Society for Biochemistry & Molecular Biology (MSBMB), Formulation and Applied Science Research Group, UPM and also an Associate Researcher of Halal Product Research Institute, UPM. Professor Oladunmoye M.K. is a Professor of Pharmaceutical Microbiology at the Federal University of Technology, Akure, Nigeria. His research interest is in Natural Products Derived Antimicrobial agents for therapeutic and prophylaxis purposes with emphasis on the mechanism of actions, anticarcinogenic properties as well as their Immunomodulatory potentials. He is an Associate Director at the University Centre for Research and Development and has served as External Examiner and Assessor for many other universities. He has published over seventy articles in reputable journals, contributed chapters to three books and attended several international scientific conferences. He is a member many Professional Academic Societies and served as member of editorial board of academic journals. He has successful supervised over one hundred undergraduate stents and over thirty graduate students in his over two decade of teaching and research in the university. He has won several research grants and may other academic awards. Massoud Kaykhaii is a professor of analytical chemistry, working at the University of Sistan and Baluchestan (Zahedan, Iran) since 1989. His research work is focused on modern sample preparation techniques including µ-solid phase extraction, solid phase microextraction, liquid phase microextraction and stir bar sorptive extraction. He has published over 100 research articles; presented ca. 120 seminars/conferences; authored two textbooks, and (co)supervised more than 100 MSc and PhD thesis. He is secretary of three national mirror committees of ISO/TC and member of editorial advisory board of 84 journals. He finished 25 industrial projects and has been counsellor in 10 companies in Iran. In 2017 he awarded the best researcher of the University of Sistan and Baluchestan. Publons introduced him as one of the "top 1 percent of top reviewers in multidisciplinary" in 2017. Currently, he is the chairman of Smartphone Analytical Sensors Research Centre. Prof. Mallikarjun completed his PhD in Pharmaceutical Sciences with specialisation in Medicinal Chemistry from Andhra University, India. He has authored more than 60 research papers in national and international indexed journals and his publications receive about 1000 citations. He also has patents for the development of herbomineral formulations. At present he is working as Associate Dean (Research & Consultancy) for School of Pharmacy, in International Medical University, Kuala Lumpur, Malaysia. Dr. Ying Wang was awarded PhD degree in 2002 in Clemson University in US, then work as a postdoc in Cornell University for 3 years. She has been a faculty member at South China Botanical Garden, Chinese Academy of Sciences (SCBG-CAS) since 2015 after working at Wuhan Botanical Garden for about 10 years. She has been working on genetics and genomics of Chinese medicinal plants, especially biosynthesis and regulation of secondary metabolites. She has published 162 papers and 10 patents. Sergey Suchkov was born in the City of Astrakhan, Russia, in a family of dynasty medical doctors. In 1980, Suchkov graduated from Astrakhan State Medical University and was awarded with MD. During the studentship Suchkov was extensively involved into research in the area of ocular immunology. In 1985, Suchkov maintained his PhD as a PhD student of the I.M. Sechenov Moscow Medical Academy and Institute of Medical Enzymology, USSR Academy of Medical Sciences, Moscow, Russia. In 2001, Suchkov finished the Post Doc Research Fellowship Program and maintained his Doctor Degree at the National Institute of Immunology, Russia. Dr. Suchkov worked as a Post Doc Research Associate, Department of Medical Biotechnology, Institute of Medical Enzymology, USSR Academy of Medical Sciences to be involved into research in clinical enzymology and applications of DNA-dependent enzymes in clinical medicine. From 1989 through 1995, Dr. Suchkov was being a Head of the Lab of Clinical Immunology and Immuno-biotechnology, Helmholtz Eye Research Institute in Moscow. From 1995 through 2004, Dr Suchkov was being a Chairman of the Dept for Clinical Immunology, Moscow Clinical Research Institute (MONIKI) and the Immunologist-in-Chief of the Moscow Regional Ministry of Health. At present, Dr Sergey Suchkov, M, PhD, is Professor in Immunology, Dept of Pathology, School for Pharmacy, I.M. Sechenov First Moscow. State Medical University. Dept of Clinical Immunology, School of Clinical Medicine, A.I. Evdokimov Moscow State Medical and Dental University, Dean of the Department (Faculty) of The PPPM Development, and the First Vice-President of the, University of World Business, Politics and Law, Secretary-General, United Cultural Convention (UCC), Cambridge, UK. His research interests are in the field of Immunology, Autoimmunity Research, Clinical Immunology, Pathology, Clinical Medicine. Dr. Jaw-Wen Chen is currently the professor of medicine in Institute of Pharmacology in National Yang-Ming University, and the director of clinical research in the Department of Medical Research in Taipei Veterans General Hospital, Taipei, Taiwan. He has been to the cardiovascular research center of Stanford University in the USA for post-Doc research. He is also a cardiologist major in hypertension, interventional cardiology, and atherosclerosis cardiovascular diseases. His research work is focus on atherogenesis, vascular progenitor cells and angiogenesis, and genetic and clinical biomarkers of cardiovascular diseases. He was invited to review national research projects for Australia, Ireland. Portugal, Poland, and Taiwan; and review papers for 60 SCI journals. He has served as editor-in-chief of Acta Cardiologica Sinica (SCI) (2012~2015) and is still the editorial board of 5 international SCI journals in US, UK and Japan. He was the first vice president of Taiwan Society of Cardiology and is currently the honor board of Taiwan Society of Lipids and Atherosclerosis, the follow of American Heart Association (FAHA), European Society of Cardiology (FESC), and Asia-Pacific Society of Cardiology (FAPSC). Until July 2017, he has published 300 scientific papers in international SCI journals. Research interests of Dr. Jaw-Wen Chen are the Lipids and Atherosclerosis and Cardiology. Dr. Refaat Mohamed Mahfouz was born in Assiut, Egypt. In 1975 he graduated from the Assiut University. In 1979 he completed his M. Sc. in “Radiochemical Studies on the Extraction of Some Radionuclides” in Aswan University Egypt. In 1983 he got his PhD for “Chemical Effects of (n,) Reaction in Solids” from Assiut University. He got a Patent for the Method for Esterification and Esterification Catalyst. Currently, he is working as a Professor in the department of Chemistry in Assiut University, Egypt. His research interests are in the field of Radiopharmaceuticals, Nanotechnology, Bioinorganic chemistry, Thermal decomposition of inorganic and polymeric materials, Radiation Damage in Solids and polymers, Hot Atom Chemistry, Inorganic Catalysts, Environmental Chemistry. Dr. Neeraj Kumar Fuloria did M. Pharm (Pharmaceutical chemistry), PhD (Pharmacy), MBA and PDCTM. Currently working as an as an Associate Professor, in department of Pharmaceutical Chemistry, Faculty of Pharmacy, AIMST university, Malaysia., with an extensive industrial and academic experience of around 12.7 years. Working as an Associate Professor, in Department of Pharmaceutical Chemistry, Faculty of Pharmacy, AIMST University, Malaysia, with an extensive industrial and academic experience of around 13 years. Published three books of international repute and 31 research papers in different national & international journals. Received a research project titled "Synthesis and exploration of antibiotic profile of some novel oxadiazole derivatives" in 2013, at AIMST university, Malaysia. Member of various professional bodies such as ISAS, NMR Society of India, IPGA etc. •Design-Synthesis, biological evaluation, and formulation designing in the field of antibiotics, antitubercular, anti-inflammatory, antimalarials, anticancer agents etc. •	Phytochemical investigation (isolation) and spectral interpretation/characterization of compounds. •Interested in design, synthesis, and biological screening of anti-infectives, antibiotics, antitubercular, antioxidants, anti-inflammatory, antimalarials, and anticancer agents etc. •Phytochemical investigation (isolation) and spectral interpretation/characterization of compounds. EugeniaYiannakopoulou is a Surgeon; Endocrine Surgeon; Breast Surgeon; Pharmacologist. Faculty in Dept. Medical Laboratories Athens University of Applied Sciences (TEI of Athens), Greece; Director of her own private medical practice. MSc Minimally Invasive Surgery; MSc Medical Biology; MSc Biostatistics; PhD Pharmacology; DIU Breast Diseases Strasbourg, DU Laparoscopic Surgery Strasbourg, DIU Endocrine Surgery UPMC, DIU Targeted Biotherapies of Inflammatory and Autoimmune Diseases Montpellier, DIU MICI UPMC. Eugenia Yiannakopoulou is member of the British Pharmacological Society, European Association of Endoscopic Surgery, European Society of Endocrine Surgeons, European Association of Clinical Pharmacology and Therapeutics. She has authored 57 research papers published in international journals and 6 book chapters and has presented 60 papers at national and international conferences. : Research interests includes Drug Safety, Pharmacogenomics and Drug Safety, Non-Steroidal Anti-inflammatory agents, Prooxidants-Antioxidants, Systematic review-meta-analysis, Breast Cancer Endocrine treatment, Breast cancer targeted therapy, Breast Cancer Chemoprophylaxis. Dr. Ramasare Prasad completed his graduation in chemistry (Hons) and doctorate in molecular biology from Jawaharlal Nehru University, New Delhi, India, 1993. During year 1994 he joins Prof Wilmont, Parasite Molecular Biology Unit, at University of Georgia, Athens, Atlanta, USA, as Post-Doctoral Fellow. He joined as Faculty in department of Biotechnology, Indian Institute of Technology Roorkee, India, since 1997 (Assistant Professor and Associate Professor) and Professor since 2012 onwards and also had been Head of department from January 2012 to Feb 2015. Presently he is the professor and leader of the of Molecular biology and Proteomics unit and has published 60 papers in reputed journals and has been serving as an editorial board member of various journals of repute. He has nearly 30 years of research and teaching experience, had executed several sponsored projects from DST, DBT, CSIR, UGC etc., supervised 21 Ph.D. and more than 54 UG and PG dissertations and presenting supervising 7 PhD students. •	Molecular Biology, Infectious diseases, Genomics & Proteomics of Fungal Biofilm; MDR, anti-biofilm agents, drug discovery, Immunodominant antigens for diagnostic and vaccine. •	Molecular study of Abiotic Stress: expression and characterization of genes involved, in osmotic stress & anti-oxidative enzymes from plants, functional validation by RNAi technology. •	Bio-therapeutics and Bio-Pharmaceutics: antimicrobial, anti-oxidative and immuno-modulatory, molecules from plants, coated Nano-particles development & evaluation in vitro & in vivo assays. Dr.Y.C. Sharma is a Distinguished Professor of Chemistry, Indian Institute of Technology(BHU) Varanasi. His achievements and honours, Fellow of Royal Society of Chemistry(FRSC),2014, Principal Investigator, Trilateral (India-Brazil-South Africa) Project on biofuels, DST, Govt. of India, 2014, ISTE(SGSITS) award for carrying out best research by young teachers, 1997, SERC visiting fellowship, 1997 and Editor-in-Chief of International Journal of Pollution and Solutions(CIP), USA. He ia a member of professional bodies like Indian Science Congress, Inia, Indian Association of Environmental Management(IAEM), India, Life Member, Indian Association of Nuclear Chemists and Allied Scientists(IANCAS), India, International Water Association(IWA), UK*, Asian Council of Sciences Editors, Dubai (by invitation). Professor Dr.Y.C. Sharma research work mainly involved in Nanoadsorbents, synthesis, characterization and application for water remediation, Green chemistry for synthesis of nanoadsorbents, Renewable energy, Synthesis and characterization of biodiesel and Development of heterogenous catalysts for synthesis of biodiesel. : Palpu Pushpangadan was born on 23 January 1944 at Prakkulam in Kollam district in Kerala, is a former Director of the Tropical Botanical Garden and Research Institute (TBGRI) in Kerala. He is also a former Director of the National Botanical Research Institute (NBRI), Lucknow and Rajiv Gandhi Centre for Biotechnology, Thiruvananthapuram. He received the Padmashri Award from the Government of India in 2010. Pushpangadan is known for his contribution to plant sciences. He has got multidisciplinary training in cytogenetics, plant breeding, bioprospecting, biotechnology, conservation biology, ethnobiology, ethnopharmacology and pharmacognosy. He has published about 317 research papers/articles in various national and international journals, authored/edited 15 books, contributed 41 chapters in books in taxonomy, plant breeding, conservation biology, biotechnology, ethnobiology, ethnopharmacology and IPR, etc. 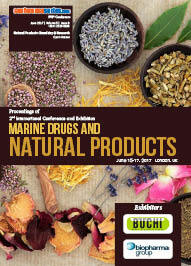 Filed/Awarded 85 patents in herbal drugs/products jointly with other scientists. 15 of his patented products are already commercialized. He has received many national and international medals/awards including the prestigious UNEP Borlaug Award in 1998, the UN-Equator Initiative Award in 2002 at World Summit at Johannesburg, South Africa in September 2002, Ayurved Gaurav Award 2009 and Padma Shri Award in 2010. He is a Fellow of the Royal Society of Chemistry (FRSC), the National Academy of Sciences (FNASc), the National Academy of Agricultural Sciences (FNAASc) and also Fellow of Seven Other Scientific Bodies in India. He is the President of National Society of Ethnopharmacology, India. Research interest in Cytogenetics & Plant Breeding, Biotechnology, Molecular Taxonomy, Biosynthesis of Secondary Metabolites, Ethnobiology, Ethnopharmacology, Bioprospecting and Natural Product Development. Prof.(Dr.) Shamim Ahmad is Distinguished Professor of Ocular Microbiology and Officer In-Charge as well as Teacher In-Charge (Administrative Affairs) at Ocular Microbiology Section, Institute of Ophthalmology, JN Medical College, Faculty of Medicine, Aligarh Muslim University, Aligarh, India being working since January,10,1983. Besides, he has recently been working as Superintendent of Examinations of the Faculty of Medicine, AMU, Aligarh. Prof. Ahmad had has also served as Faculty on deputation from AMU Aligarh for about 5 years at Faculties of Medicine in the Department of Clinical Microbiology, Al-Arab Medical University, Libya and Department of Medical Microbiology, College of Medicine, Faculty of Medicine, King Khalid University, Saudi Arabia. He worked at the Department of Microbiology, Central Drug Research Institute (CDRI), Lucknow, India as a CSIR (New Delhi) - Fellow to earn his Ph.D. degree in 1982.He obtained his Post Doc. training in various Departments of Microbiology at the Universities of world repute in six countries. Prof. Ahmad has been a recipient of at least 6 International Fellowships including "DAAD (W. Germany), "JSPS"(Japan)"ROYAL SOC. London"(UK),"DAAD"(Germany),"TUBA"(Turkey) and "SAIA"(Slovak Republic) as a visiting Professor mostly sponsored by Govt. of India and respective World Academies being, having being worked at 7 laboratories worldwide. During this period, Dr. Ahmad has also assumed key administrative positions including Manager, Ahmadi School for the Visually Challenged at AMU Aligarh and abroad. He has the honor of many research manuscripts published in highly reputed journals like British Journal of Ophthalmology, Annals of Clinical Microbiology & Antimicrobials, Pharmaceutical Biology, Jr. Saudi Soc. Derm. & Derm Surg., European J. Med. Chem., Annals of Microbiology, J. Trop. Microbial. Biotechnol., Ind. J. Exp. Biol., Jr. Ophthalmology, Int.J. Pharm. Pharm. Sci., Brazilian Journal of Microbiology, J. Nanotech. Diagn. Treat. and some journals of Springer ,New York beside one book and three Book Chapters contributed in three Foreign published International books and Supervision /Co-supervision of about 48 theses and presentation or abstract publications of large no. of abstracts at National and International conferences, Publications some of them being presented in USA ,Canada , United Kingdom ,Saudi Arabia , Libya and Pak., having won "Best Paper Award" and Newspaper (Times of India) attention and Chairing many Sessions in such Conferences. Beside he has visited as many as 30 countries some of which several times for his academic purpose. Currently, Prof. Ahmad is honored to be member in the Editorial team including Chief Editor of at least 68 International Journals of world repute. Professor Ahmad's research work mainly involved Multi resistant Eye Pathogens including Super Bugs MRSAs and their alternative treatment with newer antibacterial and innovative natural products especially the "Honey". Prof. Dr. Nahlah Elkudssiah Ismail graduated with a bachelor’s Degree in pharmacy (Hons) from Universiti Kebangsaan Malaysia in the year 2000 and successfully awarded a PhD degree in the field of clinical pharmaceutics at Institute of Pharmaceutical Innovation (IPI) and School of Pharmacy, University of Bradford, Bradford, United Kingdom (UK) in July 2005. To date, she has taught more than 50 courses to diploma, degree and postgraduate students in UK and Malaysia. As the pioneer of clinical pharmaceutics in Malaysia, she is the founder of the first Clinical Pharmaceutics Research Group (CPRG) (2008) in Malaysia and that was later acknowledged as Clinical Biopharmaceutics Research Group (CBRG) under Research Initiative Group (RIG) by Research Management Institute (RMI), UiTM. She holds membership in various local and international pharmacy and health-based organizations. Prof. Dr. Nahlah had published more than 200 publications including research journal articles, proceedings, chapters in books, books and magazine. She has been invited to deliver lectures and conduct workshops at local and international events as well as a reviewer for local and international journals. Prof. Dr. Nahlah had been awarded research and travel grants as well as awards and medals in national and international scientific invention, innovation and design exhibitions, competitions and conferences. As a registered senior clinical pharmacist and a teacher-practitioner, she was one of the regular invited guests for radio UFM Malaysia under segment “U & Health” covering numerous health topics as well as one of the invited speakers for leadership and soft skills development. She is a Council Member of Malaysian Academy of Pharmacy since January 2018. Holding various posts at different management level at different institutions, currently, Prof. Dr. Nahlah is the Deputy Dean of Academic and Operations at the Faculty of Pharmacy, MAHSA University, Bandar Saujana Putra, Selangor, Malaysia. •Research area of interest mainly in the field of pharmaceutics (drug delivery; nanotechnology), clinical pharmacy, pharmacy education, pharmacy practice, public health, neurobehavioral-psychosocial, pharmaceutical policy, complementary and alternative medicines, and sport sciences. •She is also actively participating in honey, plant and animal modelling studies in exploring and defining new therapeutic entity. Dr GOH Chye Tee is Director of NTU Chinese Medicine Clinic and Director of Biomedical Sciences/Chinese Medicine Program at the School of Biological Sciences, Nanyang Technological University (NTU), Singapore. Prior to these appointments, he was an accounting professor at the Nanyang Business School and Director of Centre for Continuing Education at the University. Dr. Raphael Nyarkotey Obu, PhD(A.M) is a research Professor of Prostate Cancer and Alternative Medicine at Da Vinci College of Holistic Medicine, Larnaca city, Cyprus. He is the Vice Chancellor and Founder of the Nyarkotey College of Holistic Medicine, Tema Community 7, Post Office, Ghana. He got his PhD degree from the Indian Board of Alternative Medicine Academy, Kolkata, India. He had his postdoc training at Da Vinci College of Holistic Medicine, Larnaca city, Cyprus under Dr. George Georgiou with research on Hibiscus sabdarrifa and its effectiveness on prostate health and published three important research papers on the Hibiscus Sabdariffa. Interestingly, he has developed three important medicinal products from his Postdoc program in a tea form for Prostate health, Hypertension and Women’s Health. Dr. Nyarkotey studied the first ever Masters module program in Prostate Cancer at Sheffield Hallam University , UK and has published over 500 articles on prostate cancer and natural medicines in leading Ghanaian newspapers and journals. His articles are highly read with close to two million readers on Modernghana. He is also Medical Sonographer graduated from Radford University College, Ghana.He is currently the National President of the Alternative Medical Association of Ghana (AMAG) and respectable conference speaker on prostate cancer and natural medicines. Principal scientist and product developer at RNG Medicine Research Lab, Medical Director of RNG Holistic Hospital & Prostate Research Lab in Ghana and a Member of the Prostate cancer Transatlantic Consortium(CaPtc). He was nominated in 2017 in the Ghana’s 40under40 Achievers. Dr. Mark Sircus, Ac., OMD, DM (P) (acupuncturist, doctor of oriental and pastoral medicine) is a prolific writer and author of some astounding medical and health-related books. Dr. Sircus’s methods are based on medical science and long years of clinical experience, not only his own but experiences of doctors from around the world who have been practicing brilliant medicine. His books are heavily referenced, but the layperson finds little difficulty in understanding his presentation of medical topics. For many years Dr. Sircus has been researching into the human condition and into the causes of disease; he has distilled many of the divergent medical systems into a new form of medicine that he has coined Natural Allopathic Medicine. Dr. Md. Ramzan Ali (Dr. M. R. Ali) is a Consultant Paediatrician under Directorate General of Health Services, Ministry of Health and Family Welfare, Dhaka, Bangladesh. He completed his graduation(MBBS) in 2001 from Faridpur Medical College under Faculty of Medicine, University of Dhaka. He did his Internship Training in Medicine and Surgery at Faridpur Medical College Hospital in 2002. He is engaged in Government Health Authority through Bangladesh Civil Service since 2006. He is working in the field of child health for more than 10 years. He received 4 years Residency Training in Pediatrics from Dhaka Medical College Hospital and Bangabandhu Sheikh Mujib Medical University Hospital, Dhaka. Then he had completed his Fellowship FCPS(Pediatrics) Degree in January,2016 from Bangladesh College of Physicians and Surgeons, Dhaka, Bangladesh and started his career as a Registered Pediatrician. Pediatric Subspecialty and pro bono consulting or volunteering in child health related issues and child health development. Prof Matin pursued his PhD in Microbiology from University of California in 1969. He worked as a lecturer, scientific officer before joining Stanford. He currently holds various academic appointments at Stanford including the department of Microbiology and Immunology. Petra Perner is the founder and director of the Institute of Computer Vision and Applied Computer Sciences in Leipzig, Germany. Under her leadership the institute developed to one of the leading institutes in basic and applied research in computer vision, data mining, machine learning, case-based reasoning and image databases. She received a diploma degree in electrical engineering in 1981 and a PhD degree in computer science in 1985. In 1989 she finished her habilitation entitled “A Methodology for the Development of Knowledge-Based Image-Interpretation Systems”. Under her guidance highly qualified national and international personnel got trained in the above mentioned high-technology fields through research projects and education programs. The tutorial on Data Mining (www.data-mining-tutorial.de) is a recognized tutorial among the domain experts and is especially designed for training industrial people on hot topics in data mining. She gave courses on Data Mining and Image Interpretation at different universities in various countries. She has been the project leader and principal investigator of various national and international research projects for which she received several research awards. Her projects are marked by the fact that they tie together high-class research with the aspect of the economic application. She is frequently invited as a guest professor for knowledge-based image inspection systems by several national and international institutes and companies. She supervised the foundation of two high-technology companies named ibai-solutions (www.ibai-solutions.de) and ImageInterpret GmbH (www.imageinterpret.de) whose teams received 4 distinct business prices for transferring image-interpretation and data-mining methods to industry. She was the principal founder and chairwoman of the Technical Committee “Machine Learning and Data Mining”. She is the chairwoman of three distinct conferences in Machine Learning, Data Mining and High-Content Analysis of Signals and Images called MLDM (www.mldm.de), ICDM (www.data-mining.forum.de) and MDA (www.mda-signals.de). Presently she is working on various medical, chemical and biomedical applications, information management applications, technical diagnosis and e-commerce applications. Most of the developments are protected by legal patent rights and can be licenced to qualified industries. She has published numerous scientific publications and patents and is frequently requested as pleanary speaker in distinct research fields as well as across disciplinces. Her vision is to build intelligent flexible and robust data-interpreting systems that are inspired by the human case-based reasoning process. Ivan Kocić has completed his PhD at the age of 32 years from Medical University of Gdansk and postdoctoral studies from Tokyo Medical and Dental University, Medical Research Institute, Tokyo, Japan . He is the head of Department of Pharmacology, Medical University of Gdansk, Poland and consultant in clinical pharmacology in Pomerania region (northern Poland). . He has published more than 45 papers in reputed journals and has been serving as an editorial board member of repute. Doctor of Biological Sciences, Professor In 1969 he graduated from Yerevan State University with major in biochemistry. The most important outcomes of the scientific results: He has developed and proposed methods for diagnosis and differential diagnosis of diseases, for hemoblastosis prognosis, diagnosis and therapy methods. "Petamcin-A" is a medicine created by him which is introduced in practical medicine. Professor P. A. Ghazaryan has published 441 scientific papers and two textbooks (Moscow), two monographs (2012, Germany). He holds a number of patents. P.A. Ghazaryan headed 26 candidate and supervised 4 doctoral theses. Since 1975 he is a member of Specialized Council 042 on Biochemistry and Molecular Biology, and since 2005 he is deputy chief editor of the scientific journal "Blood". Since 2010 he is editor-in-response of "Pharma” 'scientific-practical journal. In 2007 he became a member of the American Association of Chemists. Then he was elected a full member (academician) of the Academies of Natural Sciences of RF (2008), of the Medical and Technical Sciences of RF (2009), the European Natural Sciences (Germany, 2010). Since 2012 he is the reviewer of the American Journal of Biochemistry, the Clinical Medicine and Diagnostics, and the American Journal of Medicine and Medical Sciences. Safety nonclinical evaluation, safety pharmacology, toxicokinetic and bioanalysis. Dr. Anka G. Ehrhardt is a biophysicist with a doctorate degree in human physiology. She is currently working in the United States building and directing a team applying the latest technologies in support of the development of new live saving drugs. DR. Emmauel O. Akala completed his Ph.D. in Pharmaceutics from University of Manchester, England and did his NIH Postdoctoral Fellow in Pharmaceutics and BioEngineering from University of Utah. He is currently teaching in Howard University and the courses includes Pharmaceutical technology, Physical Pharmacy, Pharmaceutical Mathematics, Biopharmaceutics and Applied Pharmacokinetics. His research interests includes Controlled Drug Delivery and Drug Targeting, Drug Formulation and Stability Studies, Pharmacokinetics in Pharmaceutical Dosage Form Design, Pharmacokinetics in Pharmaceutical Dosage Form Design, Drug Formulation and Stability Studies, Biomaterials, Biopharmecutical Application of Nanotechnology. Dr Habtemariam has completed his PhD and 2 years of postdoctoral research (Strathclyde Institute for Drug Research) and 4 years of lectureship at Strathclyde University. Since then, he has been a leader of researches on bioassays & natural products-based drug development at the University of Greenwich and also founder/owner of Herbal Analysis Services. He is an elected fellow of the Royal Society of Medicine, the Royal Society of Chemistry, the African Academic Institute and The African Academy of Sciences. He has published over 150 papers in peer review journals and has been serving as an editorial board member for many journals. He is an Editor-in-Chief of Pharmaceutica Analytica Acta. Drug discovery; Natural products chemistry and pharmacology; bioassay screens developments; chromatographic and spectroscopic analysis. Dr. Ghalib Abbasi is an experienced leader, strategist and consultant in the fields of hospital pharmacy and industrial healthcare informatics/technology. In addition to having over 15 years of professional experience, several peer-reviewed publications and US patents, Dr. Abbasi is a nationally- and internationally-recognized innovator of high-tech approaches that improve patient safety and healthcare organizational deliverables. He received his Doctor of Pharmacy (PharmD) degree from the University of Iowa, Master of Science in Clinical/Hospital Pharmacy (MS) from the same school, Master of Business Administration (MBA) from West Texas A&M University, and Bachelor of Science in Pharmacy from Jordan University of Science and Technology. Dr. Abbasi has worked in several pharmacy settings including community, hospital, and industry. He holds several academic and professional honors and rewards, and continues to be dedicated to improving the pharmacy profession and enhancing safe medication practices through technology. Dr. Abbasi focuses on creating and evaluating novel solutions revolving around improving patient and user safety in IV medication preparation and administration, along with integrating such solutions with other healthcare system components. He resides in Tampa, Florida, United States. Dr. Bimal Roy Krishna is currently Professor and Director of Pharmacology at the College of Osteopathic Medicine, Touro University in Nevada. He obtained a Bachelor of Science (First Class Honors) in Pharmacology and Physiology and a Doctor of Philosophy, Medicine (OB/GYN/Pharmacology) from Monash University in Australia. Dr. Krishna also teaches for the Step 1 USMLE and COMLEX reviews for Kaplan Medical throughout the United States and in UAE, Europe, Saudi Arabia, India, Mexico and the Caribbean. He has been teaching online for Kaplan University for over 7 years. He has contributed to numerous publications and is a member of a number of organizations including Fellow-American College of Clinical Pharmacology. His research background is in maternal and neonatal pharmacology specifically looking at materno-fetal transfer utilizing the perfused human placental and cultured syncytiotrophoblast model. Complementary and Alternative medicine is another area of interest. Jean-Michel Scherrmann, Pharm. D., Ph. D. is professor in the department of Pharmacokinetics, Faculty of Pharmacy, the University Paris Descartes. He has led the Neuropsychopharmacology Unit at the French Institute of Health and Medical Research (INSERM) and the National Center of Scientific Research (CNRS) from 2002 to 2013. He has been recently promoted Dean of the Faculty of Pharmacy at University Paris Descartes and nominated Professor at the National Institute of Nuclear Sciences and Techniques. Pr Scherrmann has made major contributions in the development of drug radioimmunoassay, drug detoxification by immunotherapy and drug redistribution concepts in pharmacokinetics. He is now focusing his research on the role of drug transporters in neuropharmacokinetics and on drug delivery strategies to the brain. His work has resulted in two patents, 350 scientific articles, 35 books chapters and more than 250 invited presentations. Dr. Xu is a Full Professor in Beijing Normal University-Hong Kong Baptist University United International College (UIC), Zhuhai Scholar Distinguished Professor, Associate Director of UIC Key Lab -Laboratory for Health Promotion Mechanism of Medicinal Food and Folk Remedy, author of 120 peer-reviewed papers. Dr. Xu received Ph.D in Chungnam National University, South Korea. He conducted postdoctoral research work in North Dakota State University, Purdue University, and Gerald P. Murphy Cancer Foundation during 2005-2009. Dr. Xu is serving as Associate Editor-in-Chief of Food Science and Human Wellness, an Editorial Board member of several international journals. He received inaugural President’s Award for Research of UIC in 2016. The overall goal of his research is to understand health promoting effects of phytochemicals. Specific interests include: 1) Complex relationship among diet, gut microbiota, and human health, 2) health benefits (targeted at aging, cancers, obesity, and diabetes) assessment of phytochemicals from natural products; 3) cellular and molecular mechanisms of bioactive components in disease prevention. Dr. Akgün obtained a doctorate (Ph.D) in Pharmaceutical Chemistry from Hacettepe University, Faculty of Pharmacy, Ankara/Turkey. She visited Department of Chemistry, University of New Mexico, as post-doctoral researcher, and, Department of Chemistry in Faculty of Science and Art, University of Florida, as visiting professor, both in the USA. She worked at Hacettepe University, in Ankara. Since 2004 she has been a full time professor in Faculty of Pharmacy, Yeditepe University, Istanbul. Currently, Dr. Akgün is also an adjunct professor in Faculty of Pharmacy, Near East University, in Cyprus. She has published more than 68 scientific publications and conference proceedings. 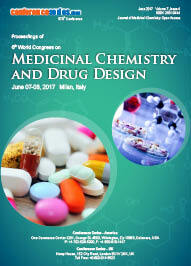 Dr. Akgün has been an editor of Current Topics in Medicinal Chemistry,( CTMC) since 2001, published by Bentham Science Publishers. 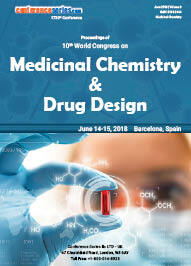 Anticancer drugs, Chemistry, Medicinal Chemistry. Sanda Vladimir-Knežević (MPharm, MSc, PhD) is a Full Professor and Head of the Department of Pharmacognosy. She had also served as Head of the Centre for Applied Pharmacy and Vice Dean for Science at the Faculty of Pharmacy and Biochemistry. She teaches graduate and postgraduate courses in the area of pharmacognosy, phytochemistry, phytotherapy and pharmaceutical care. She has been principal investigator or participated to several national and international research projects. Ladislav Novotny got his Pharm.D. from Charles University in Prague, Czech Republic and his Ph.D. from Czechoslovak Academy of Sciences in Prague, in 1984. He also obtained Higher (Special) Qualification in the field of the “Pharmacology and Toxicology of Drugs" from the Institute for the Postgraduate Qualification of Health Care Professionals in Bratislava, Slovak Republic. He became a Doctor of Sciences at Slovak Academy of Sciences in 1997. Consequently, he worked at the Czech Academy of Sciences in Prague, at Comenius University in Bratislava and at the Cancer Research Institute of the Slovak Academy of Sciences in Bratislava. He spent a substantial amount of time at The University of Texas System Cancer Center M.D. Anderson Hospital and Tumor Institute in Houston, Texas, USA. He served as a Dean at the Faculty of Pharmacy, Kuwait University, from 2003 to 2014. He authored more than 120 original scientific papers, 36 reviews and 7 patents. His scientific work is in area of anticancer agents, experimental cancer therapy and in analysis of properties of various biologically-active compounds. Dr. sc. Irena Žuntar is working as Full Professor and Specialist of Toxicology at University of Zagreb, Faculty of Pharmacy and Biochemistry, Croatia. She is course and unit leader of Toxicology. Subject Toxicology is obligatory course in both study programs, study of Pharmacy and study of Medical Biochemistry. Also, she considerably designed postgraduate specialist university program of Toxicology for health professionals and others interested or working in the field. She participated as expert in scientific and professional opinions for Ministry of Health and Croatian Food Agency, and now she is in mandate of the evaluation panel member of Croatian science foundation for scientific field of Biomedicine and health, public health and health protection, pharmacy. She was principal investigator of a scientific grant and researcher on many scientific projects and she gained two scientific awards. She was supervisor of more than 50 student’s diploma thesis, 4 Rector’s awards and two Dean’s awards. Nicholas a. Ashford is professor and Director at Technology & Law Program Sociotechnical Systems Research Center Massachusetts Institute of Technology in USA. He has many research works and publications. In the year 1980,Elected as a Fellow of the American Association for the Advancement of Science. Zabihollah Rezaee is the Thompson-Hill Chair of Excellence, PhD coordinator and Professor of Accountancy at the University of Memphis and has served a two-year term on the Standing Advisory Group (SAG) of the Public Company Accounting Oversight Board (PCAOB). He received his BS degree from the Iranian Institute of Advanced Accounting, his MBA from Tarleton State University in Texas, and his PhD from the University of Mississippi. Dr. Rezaee holds ten certifications, including Certified Public Accountant (CPA), Certified Fraud Examiner (CFE), Certified Management Accountant (CMA), Certified Internal Auditor (CIA), Certified Government Financial Manager (CGFM), Certified Sarbanes-Oxley Professional (CSOXP), Certified Corporate Governance Professional (CGOVP), Certified Governance Risk Compliance Professional (CGRCP), Chartered Global Management Accountant (CGMA) and Certified Risk Management Assurance (CRMA). He served as the 2012-2014 secretary of the Forensic & Investigative Accounting (FIA) Section of the AAA and is currently serving on Auditing Standards Committee of the Auditing Section of the AAA. Dr. Rezaee was one of the finalists for the position of the Faculty Trustee at the University of Memphis in 2016 and the Ombudsperson position in 2017. Bo Mattiasson is professor emeritus in biotechnology at Lund University, Sweden. He has supervised >75 students to their PhD. Published more than 750 papers in peer reviewed journals concerning enzyme technology, bioseparation, microbiology, bioanalysis and environmental technology, esp. production of biogas from surplus biomass, treatment of industrial wastewaters and lately monitoring and capturing trace pollutants from wastewater. Editor in chief for Biotechnology Reports. Started biotech companies dealing with biosensors (CapSenze Biosystems AB), biorefinery, environmental biotechnology (Indienz AB). Dr. Shyam Sunder Tiwari has been a nuclear research scientist at health and safety research lab, IGCAR, Kalpakkam India ( www.igcar.gov.in/ ) from June 1976 to June 1998 where he has been working of ionizing radiation detectors and nuclear instrumentation. Dr. Shyam Sunder Tiwari is now a managing director of Sensors Technology Private Limited (www.sensorstechnology.com/ ) , Gwalior, India from June 1998 onwards. He has specialized in development of ionizing radiation detectors, nuclear instruments for environmental ionizing radiation safety and nuclear emergency management. Nuclear Instrumentation, Nuclear Electronics, Radiation Health and Safety, Radiation Physics, Radiation Detector, Radiation Dosimeter, Nuclear Reactor Electronics, Automation, Sensors, High Voltage Instrumentation, Multichannel Analyzers for Radionuclide, Shock Wave and Transient Recorders and Embedded Systems and Software. Psychologist and Environmental Consultant. He completed doctoral studies in the Department of Personality, Evaluation and Psychological Treatment of the UNED. Chief of Brigade in a Forest Fire Service with more than 20 years of experience. He collaborates with several companies and institutions in the area of training in Psychology in Emergencies and Human Resources. He is Professor at the University of Valencia in the Master in "Intervention and operational coordination in emergencies and catastrophes" and other postgraduate courses on emergencies. Director and President of the International Scientific-Professional Committee of the National Symposium on Forest Fires (SINIF). He has lectured internationally and has been part of the Organizing Committee of several International Congresses on Earth Sciences and Climate Change. He has published articles on forest fires, stress, psychosocial risks and emotional trauma, mainly in relation to emergency services and natural disasters. Currently, he is assigned to the Research Group on "Climate and Territorial Planning" (University of Alicante), where he researches on the social perception of forest fire risk and behavior in the event of possible disasters. Prof. Ian S. Butler has been a member of the Department of Chemistry at McGill University since 1966. He has served as Department Chair, Associate Dean of the Faculty of Science and Associate Vice-Principal (Research). He is an Honorary Member of the Spectroscopy Society of Canada and has been elected as a Fellow of the Chemical Institute of Canada and the Royal Society of Chemistry (U.K.). Throughout his career, he has supervised the research of well over 120 scientists, including more than 75 graduate and undergraduate students, and postdoctorals. Their combined efforts have resulted in the co-authorship of about 550 publications. Professor Butler has co-authored 11 text books on General Chemistry and Inorganic Chemistry and been recognized nationally by the Gerhard Herzberg Award for Excellence in the Science of Spectroscopy from the Spectroscopy Society of Canada and the David Thomson Award for Excellence in Graduate Teaching and Supervision from McGill University. Ali Sayigh, British Citizen, was born in Kufa, September 20, 1939; graduated from London University, & Imperial College, B.SC. DIC, Ph.D., CEng in 1966. He is fellow of the Institute of Energy, and Fellow of the Institution of Electrical Engineers, Chartered Engineer and currently, the Director General of WREN (World Renewable Energy Network) and Congress Chairman of WREC (World Renewable Energy Congress, UK). The All India Women's Conference (AIWC), a pioneering voluntary women's organization working for the under privileged women and empowering them in all spheres of their lives such as – education, reproductive health, economic self-sufficiency through skill development, decision making, among others- postulates Professor Sayigh. He earned this postulation for his work promoting wider acceptability of renewable sources of energy worldwide. His academic brilliance was fully supported by his endeavour to extend the renewable energy devices to the masses. Realizing the role of women in using and disseminating such devices in rural and semi-urban areas, Prof Sayigh supported grassroots women's organizations in different countries, like All India Women's Conference in India; which is one of the oldest and pioneering non-political women's organizations which has been continuously working in the propagation of Renewable Energy Technologies at Global and grassroots level and international networks like ENERGIA, at the international levels. All the major conferences organized by Prof. Sayigh, always focused on empowerment of women for renewable energy applications and a great number of women from developing and developed countries have actively participated. All those who have been interacting with him ever since WREN feel that no other Renewable Energy Expert deserves more this award for serving the cause of renewables globally and promoting women's participation. In line with my goals for use-inspired research, I have promoted practical environmental change through my scholarship. I have spent considerable time to train the next generation of successful environmental scientists. With peer-reviewed articles in high impact scientific journals in the field, presentations, my research group has covered a wide range of topics. My contribution to the scientific community is illustrated by an extensive record of teaching, conference presentations, my activity as a program committee member for international conferences, invited talks local and internationally, serving as chair of doctoral and master’s dissertation committees, my service as a reviewer for scientific journals and Ph.D. theses, my participation as organizing workshops, and my service as an environmental consultant for United Nations Development Program (UNDP). My long-term vision is to maintain a research program that investigates emerging applied research issues and has a multidisciplinary nature. The outcomes of my research efforts are expected to greatly enhance quality of life and improve environmental factors impacting human life. Lingai Luo is the first class research director of French National Center for Scientific Research (CNRS) at the Laboratoire de Thermocinétique de Nantes (LTN), France. She received her Bachelor’s and Master’s degrees in thermal engineering from Harbin Institute of Technology, China, and her Ph.D. degree in mechanic and thermal engineering from National Polytechnic Institute of Lorraine (INPL), Nancy, France. Her previous academic appointments include Assistant Professor at INPL, Associate Professor at University of Nancy I, and later at INPL. From 2003 until 2012 she was a Full Professor at University of Savoie, France.From 2007 to 2012, she was the director of Laboratory of design optimization and environmental engineering (LOCIE) of CNRS and University of Savoie. She was the cofounder and coordinator of Sino-French Collaboratory for Environmental and Process Engineering (1998–2006) and was the head of its successor Sino-French Laboratory for Sustainable Energy (2008-2013) of French CNRS and Chinese Academy of Sciences. She was the scientific director of French National Research Agency (ANR)’s energy department. She is also an invited professor at 5 Chinese universities/institutions, and Leuphana University at Lüneburg, Germany. Lingai Luo has published and presented extensively, contributing more than 100 journal articles, one book and more than 120 international conference papers (29 as invited speaker). Lingai Luo research covers a wide range of topics in thermal, process and energy engineering, including combustion in fluidized bed, energy balance analysis of industries, solar refrigeration machines, adsorption and absorption processes, thermoelectric heat pumps or energy for buildings. More recently, her research activities focus on a fundamental strategy based on thermodynamic analysis, transfers intensification and energy systems optimization. Ajay K. Ray, Chair of Chemical and Biochemical Engineering Department at Western University, has made seminal research contributions in industrial process modeling and optimization; development of solar photocatalysis; and advancement of simulated moving bed technology for reactive separation. Dr. Ray has contributed to enhance engineering knowledge by devising innovative approaches to enhance process performance for applications in energy, environment, food and health, the key challenges facing the world. Dr. Ray is a prolific author, having written a text book on Engineering Mathematics and over 150 research articles in archival journals. The impact of his work is evident from high h-index and citations received. He has mentored over 50 graduate students. He is member of the editorial board of journals, recipient of the Research, Teaching and Faculty Scholars award, CrayQuest award, Distinguished Speakers award, and Distinguished Alumni award from Calcutta University. Miklas Scholz, cand ing, BEng (equiv), PgC, MSc, PhD, CWEM, CEnv, CSci, CEng, FHEA, FIEMA, FCIWEM, FICE, Fellow of IWA, is Prof. in Water Resources Engineering at Lund University, Sweden. He also holds the Chair in Civil Engineering at The University of Salford, UK. He is the Head of the Civil Engineering Research Group in Salford. Prof. Scholz has shown individual excellence evidenced by world-leading publications, postgraduate supervision and research impact. His main research areas in terms of publication output are as follow: treatment wetlands, integrated constructed wetlands (ICW), sustainable flood retention basins (SFRB), permeable pavement systems, decision support systems, ponds and capillary suction time. About 48% and 46% of his research is in wastewater treatment and water resources management, respectively. The remaining 6% are in capillary processes and water treatment. He has published three books and 209 journal articles. Prof. Scholz’s full journal article publications in recent years are as follows: 2009 (13), 2010 (19), 2011 (13), 2012 (21), 2013 (17), 2014 (15), 2015 (17), 2016 (14) and 2017 (16). Prof. Scholz has total citations of more than 4311 (above 2895 citations since 2012), resulting in an h-index of 32 and an i10-Index of 101 (22 August 2017). Civil engineering; environmental engineering; environmental science; water resources engineering; wastewater treatment; decision support systems; treatment wetlands; integrated constructed wetlands; hydrology; sustainable flood retention basins; sustainable drainage systems; permeable pavement systems; ponds; capillary suction time. Dr. Ideisan I. Abu-Abdoun is Professor of Chemistry at the department of Chemistry, University of Sharjah, United Arab Emirates. He holds his Ph.D. degree from the University of Liverpool, Liverpool, United Kingdom in polymer Chemistry (1982). Prior to join the University of Sharjah, he worked at different universities including: King Fahd University of Petroleum and Minerals (KFUPM), Dhahran, Saudi-Arabia; Aal Albayat University, Jordan; Bowling green State University (BGSU), USA; and Liverpool University (UK). Chemical Modification and Characterization of polymers; degradation and stabilization of plastics materials; photochemistry; Chemistry of catalysts and catalysis processes; Environmental chemistry; development of new methods of active teaching and learning. Raquel Jiménez-Melero is assistant teacher in the Department of Animal Biology, Plant Biology and Ecology of the University of Jaén (Spain) and member of the research team called "Ecology and Biodiversity of Aquatic Systems". Her aim of study are the wetlands in general and the zooplankton in particular. In order to understanding as these ecoystems are going to face the global change, she studies as the zooplankton communities respond to the environmental variables and the contaminants. She combines her love for the Ecology with her passion for the environmental education and the science popularization. As mother of two small children, she is aware of it is becoming more urgently required that Ecology scientists go out of their labs and offices and explain to the society the serious environmental consequences of Humanity behavior. The research team to which Dr. Jiménez-Melero belongs focuses its interest in the study of small ponds and wetlands. They study their conservation state, their main threats and their biodiversity. Moreover, they analyse the effect of pesticides on plankton and anfibians. In this context, Raquel Jiménez-Melero is especialiced in the study of population dynamics of zooplankton. In addition, the team perform activities of environmental education and science popularization. Dr. Mehdi Razzaghi-Abyaneh is currently working as a full professor and head of Mycology Department at the Pasteur Institute of Iran where he is working on mycotoxins and mycotoxigenic fungi for more than 14 years. He obtained his PhD degree in Mycology from Tarbiat Modares University. He has published over fifty papers in international journals and number of book chapters. He is a member of many professional societies. Dr. Mehdi Razzaghi-Abyaneh’s research interests encompass biologically active compounds of plant, fungal and bacterial origins with antifungal properties against a broad spectrum of fungal pathogens. He is also investigating ecology and genetic diversity of Aspergillus section Flavi especially aflatoxin-producing species from soil and other natural habitats. Demonstrated for the first time a phenylpropanoid compound named "Dillapiol" isolated from Anethum graveolens as the specific inhibitor of the biosynthesis of aflatoxin G group. He is working on the chemical basis of plant–fungal interactions and determining mode of action of antifungal compounds at cellular and molecular levels. Pongsak Rattanachaikunsopon is interested fields of research are Molecular Biology, Microbiology and Biochemistry. His present research focuses on searching for biological agents such as microorganisms and plants to use as alternatives to control animal and human diseases caused by pathogenic bacteria.